Win the battle against oily skin with the right face wash! People say having oily skin is better than having dry skin. In my case, I beg to differ! Sure, all seems nice and dandy soon after I wash my face. My skin looks pretty decent and sometimes it even glows. Fast-forward half an hour or so and it’s a whole other story. That glow turns into a sheen that refuses to go away. Many dabs with a tissue later and it seems I have it under control. But, no, it’s back again! I think the worst experience has to be photographs. There’s just no escaping that prominent shine. And let’s face it, these days it’s all about trying to capture the perfect picture. 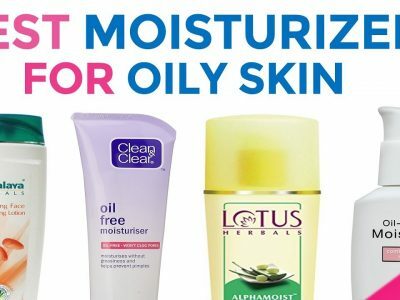 Oily skin doesn’t help matters and you’re left wondering just what to do. Like many others with oily skin, I tried dozens of products. Some almost hit the mark and others failed miserably. The biggest problem was that even the okay stuff didn’t last long. A few months into using them and it was back to square one. 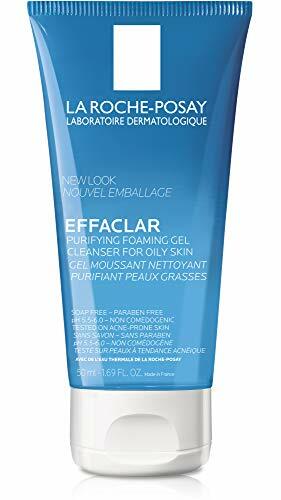 It was until a year back or so that I actually found some of the best face wash for oily skin. They did the job terrifically. I couldn’t believe my luck! 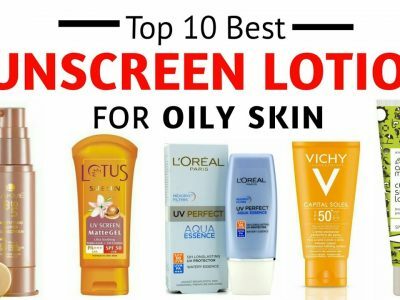 I know there are many people like me who struggle to manage oily skin. If you’re reading this, you’re probably one too. To guide you in your quest to find products that work, I want to list those that have helped me. I hope they do the same for you and that you get the oil demon under control! Before we get to that, however, I want to bring something to your attention. Did you know there’s a way to wash your face? I didn’t until recently! 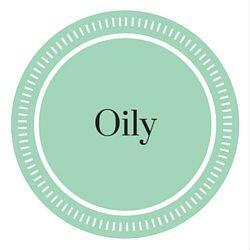 Oily skin sufferers, in particular, have to be more disciplined in how they clean their skin. Check out what I’ve learned, tried and can testify to. Always, always take make-up off. It’s a cardinal rule no matter what skin type you have. Blocked pores, zits and blemishes are just a few nasty things you can get if you don’t cleanse your skin. Choose a formula designed for oily skin. A deep facial cleansing cream is a great choice because it removes dirt more efficiently. Try to avoid products with very high pH levels as they can be too drying. Once your make-up is removed, follow up with a face wash. It will eliminate residues of the cleansing cream, which would otherwise clog pores. Squeeze a pea-sized amount of face wash on your palm, lather it and apply to wet face. Use circular motions all over and massage the product into the skin. Do this for at least 30 seconds to let it work its magic. Wash off with cool or warm water. Throughly remove all traces of the face wash.
Pat dry with a clean towel. Don’t wipe it as this can irritate the skin especially if you have breakouts. Wash face at least twice a day. Now, on to the good stuff! I’ve picked 11 face washes that I believe would help you as they have me. I’ve also added a comparison chart to show what each contains and does. First, this comes in a 2-bottle pack so you have more than enough product to last you a while. Second, it’s very moisturizing. Just because you have oily skin it doesn’t mean it shouldn’t be moisturized. It’s all about maintaining the right balance of oil production. After using this product, I noticed that my skin didn’t develop that annoying shine as quickly. It didn’t feel dry and stretched either. 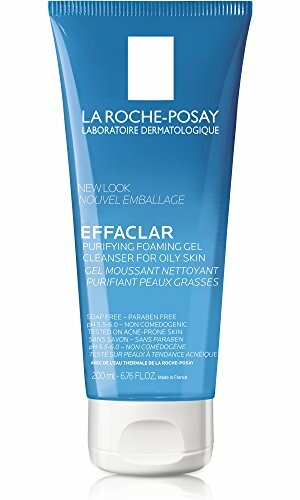 I really like the gentle formula, which is soap-free and does a great job of cleaning the skin. The formula is also fragrance-free and non-comedogenic so pores are kept clean and unclogged. Don’t expect it to lather much; just use a small amount and let it do the job. It can be used to alleviate diaper rash. It contains sulfate, which is considered to be an irritant for rosacea. This contradicts its claim to be suitable for rosacea. Another non-drying formula, CeraVe Foaming Facial Cleanser 12 cleanses and removes oil effectively. It contains hyaluronic acid for moisture-retention and niacinamide to calm the skin. What I like about the product is its foaming action. I love a good lather! Silly, I know, but I feel my skin gets a better wash! The ceramides in the formula really do make a difference. FYI, ceramides supposedly inhibit elastase enzymes that are responsible for ruining elastin. Skin becomes smoother, less prone to wrinkling and doesn’t flake. I have to say my skin felt moisturized without becoming oily. We’ll see about the wrinkling. It’s still early days yet! Some users have said it causes breakouts. This is specially formulated for oily skin. I like it because it doesn’t dry my skin though it controls oil production well. You may want to wait till summer to use it because it could dry it out otherwise. I love that it foams (of course) but the best part is that it doesn’t contain parabens and alcohol. It’s also soap-free. My skin is pretty easy to take care of in that I don’t break out often. But, I still prefer soap-free formulations because my skin doesn’t feel stretched. If you do too, I think you’ll like this. It has good foaming action. It contains sulfates and fragrance, which may irritate sensitive skin. Another foaming cleanser, this time by Mario Badescu. Its deep cleaning properties really do remove dirt and makeup well. 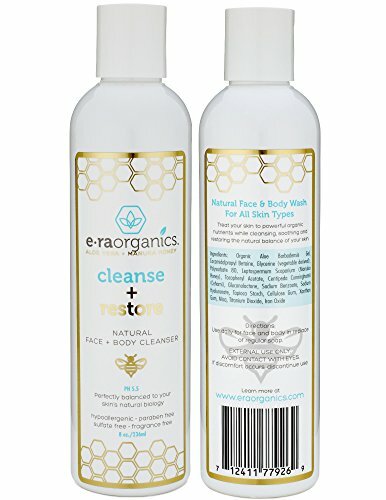 I don’t use it every day, probably about twice a week when I really need a deep cleanse. I use a normal cleanser otherwise. Unfortunately, for all the good it does, it has a few questionable ingredients. It sadly contains stuff like sulfates and parabens, which I’d rather avoid and know some of you would too. This is another reason I prefer using it only occasionally. You can never be too careful, right? It can be used as a supplemental cleanser 1 to 3 times a week. Some users have said that it dries the skin. Vichy is kind of similar to the Mario Badescu Glycolic Foaming Cleanser in that it deep cleans. It contains glycolic acid but also has salicylic acid that unclogs pores. I use it during summer when my skin is extra oily. It works wonders during the hot season and does a great job of managing shine. However, it can otherwise be drying. So, you probably want to avoid using it in winter or when your skin is dehydrated. It contains sulfates and fragrance. 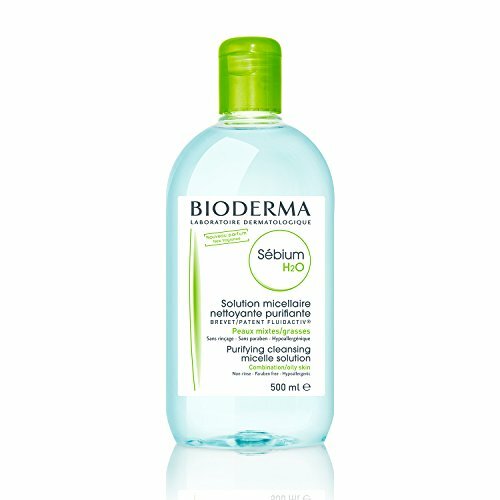 My oily skin benefited quite a bit from using Bioderma Sebium H2O Micellar Water. It removes makeup pretty well and tempers the oiliness. I use a cotton pad soaked in the solution and wash off the residue with water. However, I wouldn’t recommend it if you have skin that’s not too oily. I think it would cause dryness because parts of my face did get a little flaky. The benchmark micelle solution that daily cleanses and purifies combination or oily skin. It purifies the epidermis and regulates sebum quality thanks to the patented sebo-correcting fluidactiv complex. the skin feeling healthy and smooth. It’s oil-free and contains zinc gluconate and copper sulphate. 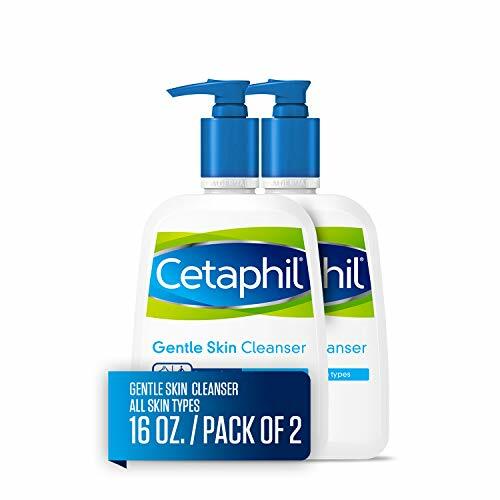 A great product for keeping skin clean especially when you’ve spent a chunk of the day outdoors. A little goes a long way so you don’t have to use much. 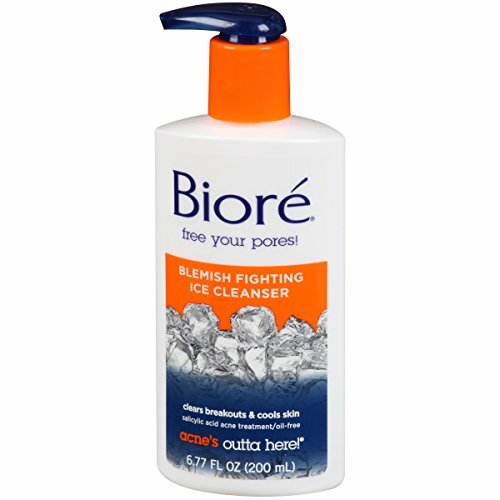 What I like the most about Biore Blemish Fighting Ice Cleanser, however, is its gentle formula. I use it almost every day. I haven’t yet experienced a bad case of dryness although my skin does feel a tiny bit stretched. Thankfully, there’s no flaking. Some users have reported suffering breakouts. 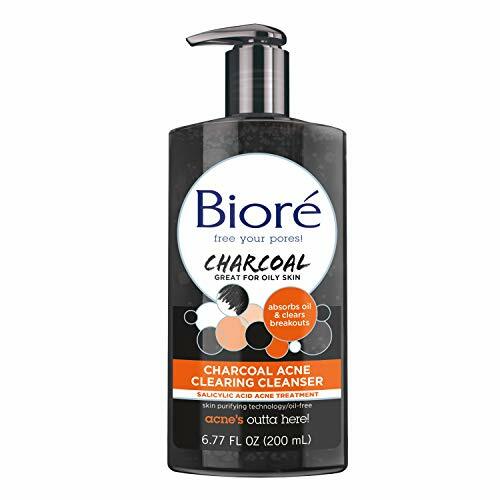 Charcoal is supposed to be good for oily skin and after using Biore Deep Pore Charcoal Cleanser for Oily Skin, I have to agree! I especially love how the black formulation turns white when it foams. It’s just really cool! The label says to use it every day for optimal results, which I do. Until such time as I feel the need for a change, of course! The product leaves my skin feeling fresh and clean. Some people have said that it causes a burning sensation and breakouts but it didn’t for me. Then again, my skin isn’t very sensitive. It contains natural charcoal, which is good for oily skin. Some people report burning sensations and breakouts. 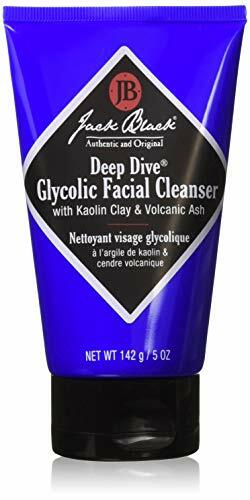 Jack Black Deep Dive Glycolic Facial Cleanser is one of those products that seems to meet all the criteria. It’s vegan – which I love! – it’s cruelty-free and doesn’t contain sulfates, parabens and alcohol. It’s also fragrance- and gluten-free. But, that’s not what has me hooked. I can’t get over how this cleanser can double up as a mask. I just leave it to dry and wash it off! How great is that? It can be used as a mask. Some users report that it causes breakouts. 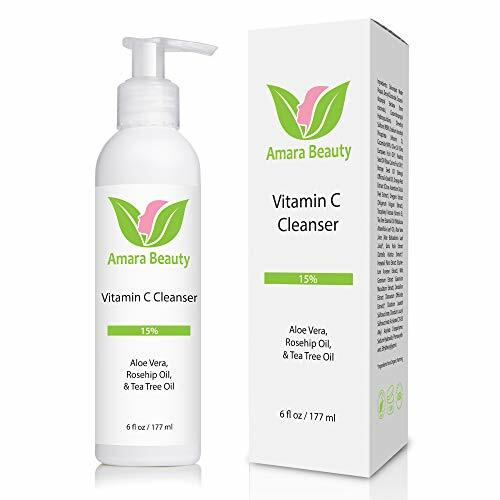 Amara Organics Facial Cleanser is a little similar to Jack Black Deep Dive Glycolic Facial Cleanser. It’s vegan and cruelty-free and doesn’t have sulfates, parabens and alcohol. It’s suitable for sensitive skin as well. However, I do notice that it dries my skin so I have to use more moisturizer. I’ve put it on hold for summer. 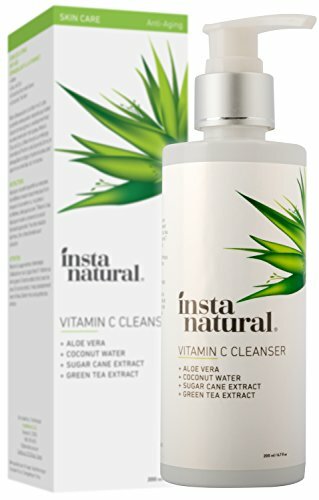 Facial Cleanser with 15% Vitamin C, Aloe Vera, Rosehip Oil & Tea Tree Oil, 6 fl. oz. It doesn’t contain sulfates, parabens and fragrance. It dries the skin after prolonged usage. Natural Moisturizing Face Wash is a 2-in-1 formula that works on the face and the body. I really like that because I don’t need to use two different products. It claims that it’s balanced to the skin’s natural pH level. I can’t vouch for that but I can say that it makes my skin noticeably softer. It’s supposed to help treat psoriasis and eczema too. However, since I don’t suffer from them, I can’t vouch for this either. THE BEST FACIAL CLEANSER FOR DRY, OILY, DAMAGED, SENSITIVE SKIN. 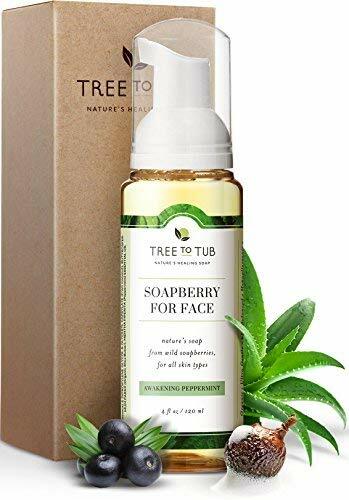 Moisturizing natural face wash perfectly balanced to your skin's 5.5 PH. Most face cleanser are 10 PH which can ruin your skin. Soothe, Hydrate & Restore your skin or YOUR MONEY BACK. RESTORE DULL, DRY SKIN by working with your skin's natural biology without drying it out. Gentle facial cleanser that won't remove your natural protection provided by oils and nutrients normally stripped away by most soaps and cleansers. We live in a time when choices seem never-ending. I went to a small department store the other day looking to pick up a few cosmetics. There were so many options I really didn’t know where to look! 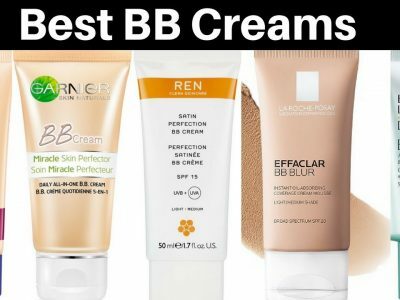 Each brand has so many products and all claim to do the best job. Don’t get me wrong, I love all these choices. But, it can be very confusing finding what you want. Like I said, I’ve tried numerous face washes and it’s only because of trail and error that I’ve managed to narrow the list. Aside from presenting you with the best face wash for oily skin, I want to show you how to go about buying what you need. It’s pretty simple but knowing the basics will save you time and more importantly, money! Face washes usually clearly state what skin type they’re suitable for. However, you should still check the label before buying any. 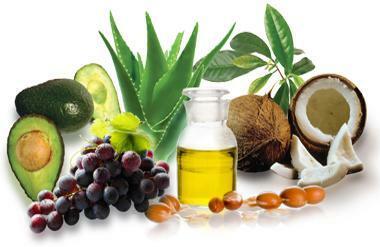 You want a formula that not only reduces and controls oil production but that doesn’t dry the skin. Otherwise, you’ll be left with yet another problem! I lean towards face washes labeled ‘gentle’ because they don’t strip the skin of all oils. Keep in mind, though, that if you have only slightly oily skin, certain products may still seem a tad harsh. In this case, choose face washes for normal to oily skin. Many face washes contain synthetic ingredients and chemicals. While it can be tricky finding an all-natural product to suit your skin, try your best to stick to them. 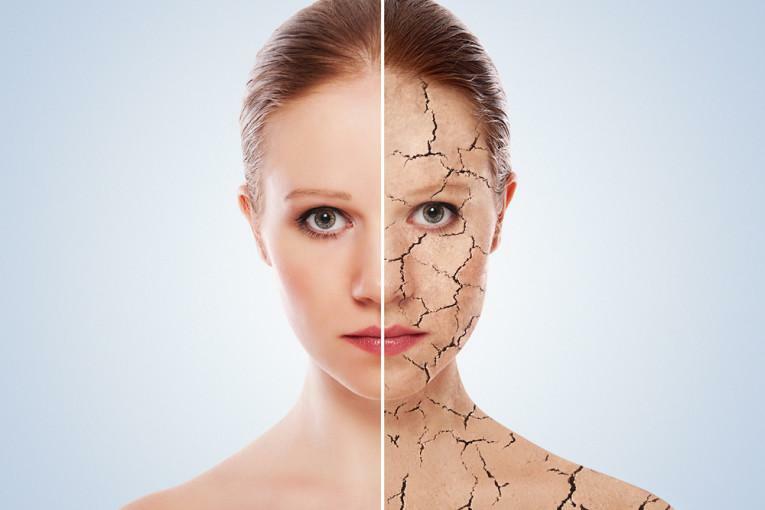 Certain ingredients like sulfates can cause dryness and irritate the skin. If you have sensitive skin, only use face washes that are sulfate-free. There’s nothing worse than suffering breakouts when trying new products! Paraben is another ingredient. While it has benefits like preserving products and eliminating bacteria build-up, you may want to avoid it. Some believe that it’s linked to cancer although this hasn’t been established. 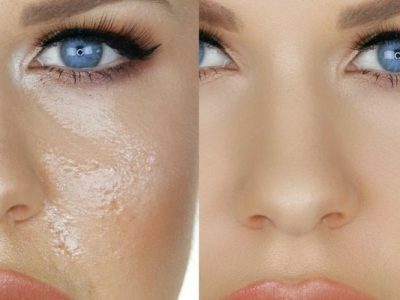 Oil build-up can clog pores and cause pimples and blackheads. There’s a higher chance of this happening when you have oily skin. A deep cleaning face wash that cleanses the pores and removes dirt and oil is the best bet. Look for a product that’s gentle enough to be used daily. Otherwise, use the product twice or thrice a week and an ordinary face wash in between. Your skin won’t dry out and will stay squeaky clean! One of the most annoying things to happen when using a face wash for oily skin is the resulting dryness. Formulations sometimes work a little too well and you’re left with skin that’s dry and stretched. You then have to switch up products. The quickest way to find face washes that are non-drying is to look for those labeled moisturizing and non-drying. Face washes infused with oils like ylang ylang moisturize and balance your skin’s oil production. I love a good scent. Who doesn’t, right? Unfortunately, fragranced face washes can irritate the skin and even cause allergies. 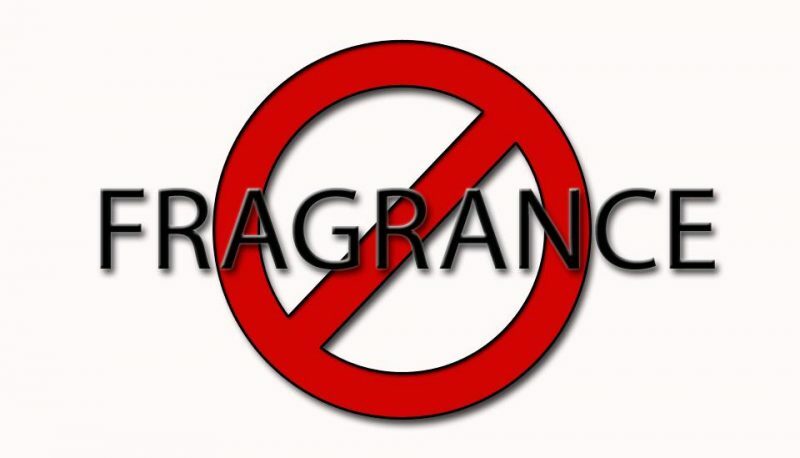 If you have sensitive skin, search for products that are fragrance-free. In fact, do this even if you have ordinary oily skin. The fewer chemicals a product contains, the healthier it is. Don’t let oily skin keep you from using your favorite makeup or from taking those selfies. There are so many products available today to help you manage it. What I’ve listed doesn’t even begin to scratch the surface! Give them a try and see if they work for you as well as they’ve done for me.